We recently got a taste of Ridley Scott’s upcoming Alien: Covenant movie, as 20th Century Fox recently released a clip featuring some early scenes from what could end up being this year’s sci-fi blockbuster. This wasn’t a great preview, though, so hopefully it won’t be a sign of things to come when the movie hits theatres this May. 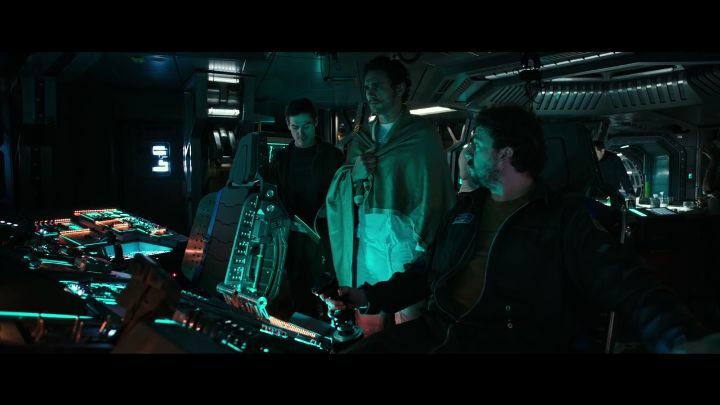 The movie clip shows the crew of the Covenant spaceship partying after their captain (played by actor James Franco) retires to early cryosleep, and is it my imagination or things feel a bit off here? Aside from the fact that Franco looks worn out and disinterested in his first appearance in this preview, the whole crew party scene looks like one of those deleted scenes or outtakes which are so popular on Blu-ray and DVDs these days, and certainly doesn’t cause a good impression. At least Michael Fassbender, who reprises his android role from Prometheus, appears to deliver a solid performance, and hopefully Alien: Covenant will deliver as much shock and horror as Ridley Scott’s earlier Prometheus did back in 2012. It’s hard to shake the feeling, though, that Ridley Scott might no longer be at the top of his game, and despite the fact that the legendary director is behind classics like Blade Runner and the original Alien movie, he’s also made some not so great films in recent times like Robin Hood. But here’s hoping Alien: Covenant turns out to be a solid sci-fi film this year anyway, and one that lives up to the Alien legacy, no matter how disappointing this early preview of the movie might have been.